Slightly over a year ago, I wrote about this good prawn mee (also known as Hokkien Mee in Penang) found in a house in Bukit Mertajam. 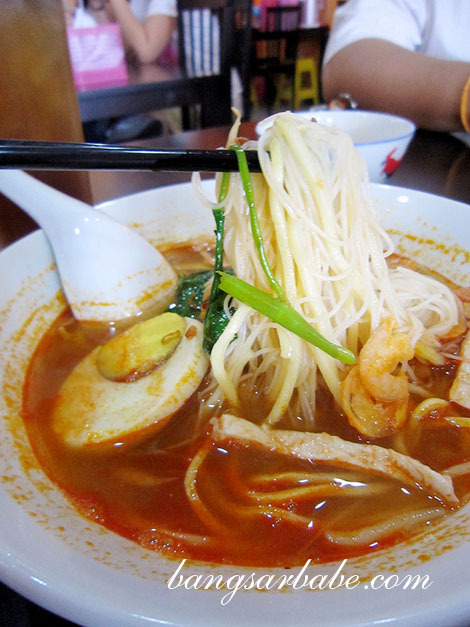 That hokkien mee now has a franchise and is much easier to find – Asami Noodle House in Bukit Mertajam. 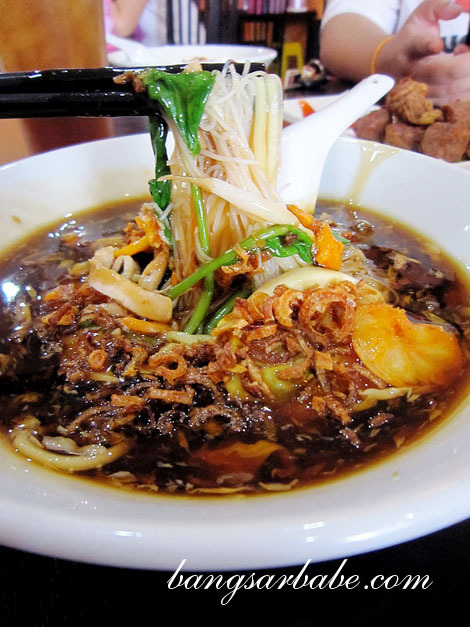 Located along the new row of shop lots in Taman Limau Manis, Asami Noodle House serves Hokkien Mee and Loh Mee, together with a variety of appetizers to nibble on. We tried their starters – pork ribs (RM3 – normal, RM5 – big), fried mantis prawn (RM3 – normal, RM5 – big), loh bak (RM3 – normal, RM5 – big) and braised chicken feet (RM2 – normal, RM4 – big). Of the four, I enjoyed the mantis prawns best. 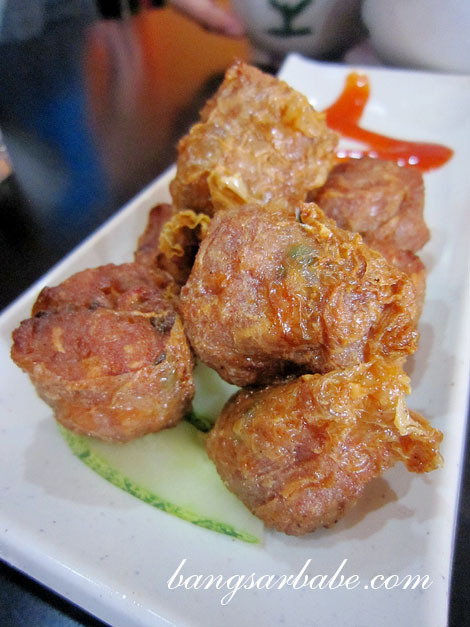 These were deep fried till crunchy on the outside, yet moist within. I liked the batter too; drier and lighter. 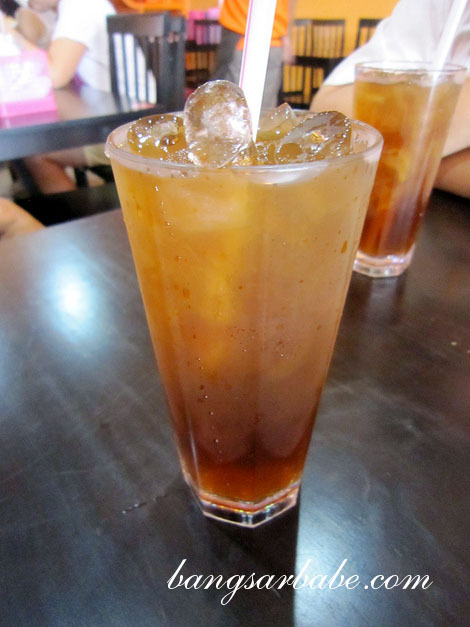 Also good was the loh bak, which we ordered twice. Specially made by the chef, I found it less oily, yet just as good as the ones from the island. The pork ribs and braised chicken feet were nothing to shout about. Like the original Ah San Hokkien Mee, the stock here was fragrant, richly flavoured from the prawn shells and dotted with burnt-orange oil specks. Coming from a non-fan of Hokkien Mee, I slurped the whole bowl dry. 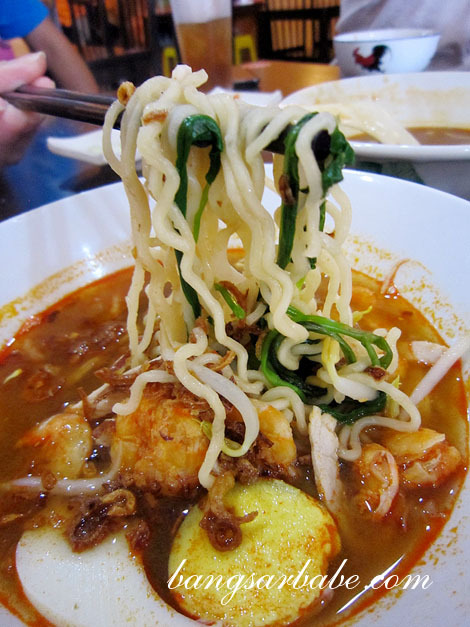 They have yellow mee, mee hoon and cintan mee as your noodle option, but take my word and go for the cintan mee. Do give their sambal chilli a try. Fiery hot and aromatic, I personally can’t get enough of this. We asked for extra pork lard to go with the noodles, and the crunchy bits of fat gave it an added oomph. A regular bowl cost RM3.50, while the larger one is RM4.50. Another favourite here is the Loh Mee (RM3.50 – regular, RM4.50 – large) , but I found it less interesting compared with the Hokkien Mee. 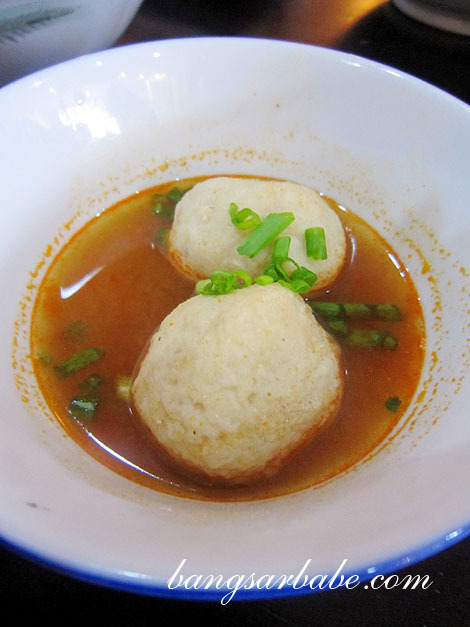 We tried it with mee hoon and found it absorbed the thick sauce better. That said, I still like it better with cintan mee. There is a dry version too, but it wasn’t my cup of tea. 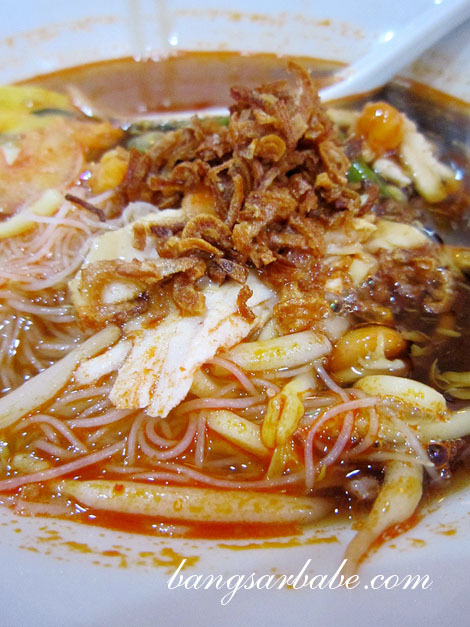 For variety sake, we also tried the Hokkien Loh Mee, which was a combination of Hokkien Mee and Lor Mee gravy. Interesting combination, but not something I’d go for. Overall, I found the food pretty good. While I didn’t care much for the dry and cham noodles, I’m definitely coming back for more Hokkien Mee. The place is air-conditioned so if you hate to sweat for good food, this is the place to go to. Verdict: Like the original stall, the Hokkien Mee here is good stuff. Oh my, the Hokkien mee does look good! It really is. Go try! Sedap to see, already salivating!